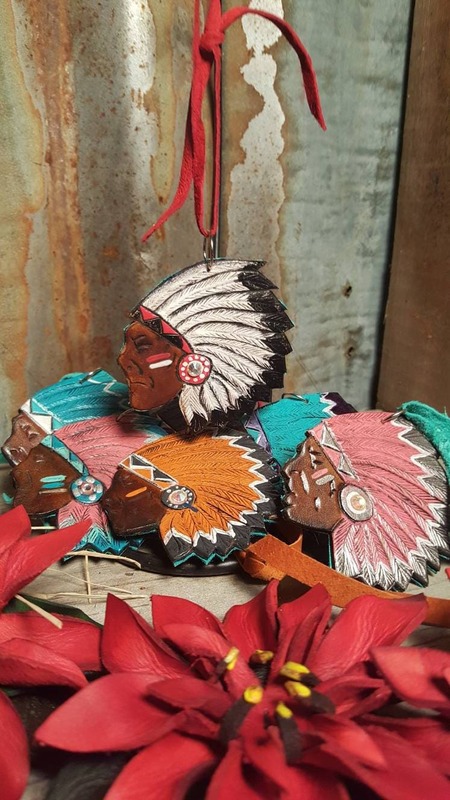 This stunning Christmas ornament is sure to become a favorite on your tree. 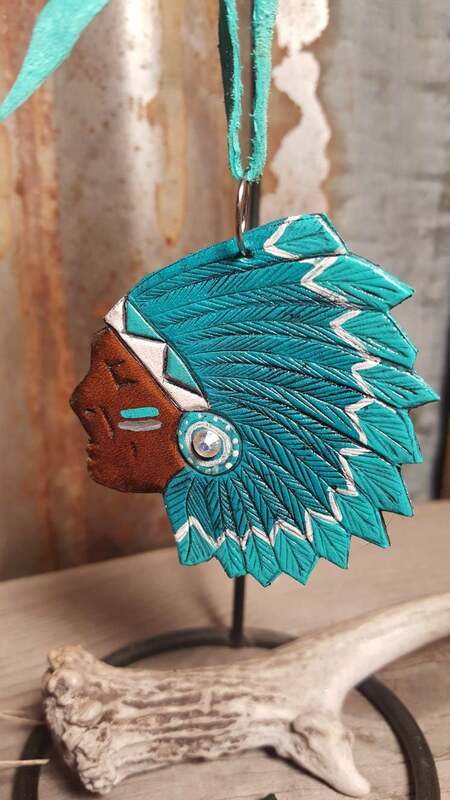 Hand-crafted from leather, this highly detailed ornament is hand-tooled and hand-painted. 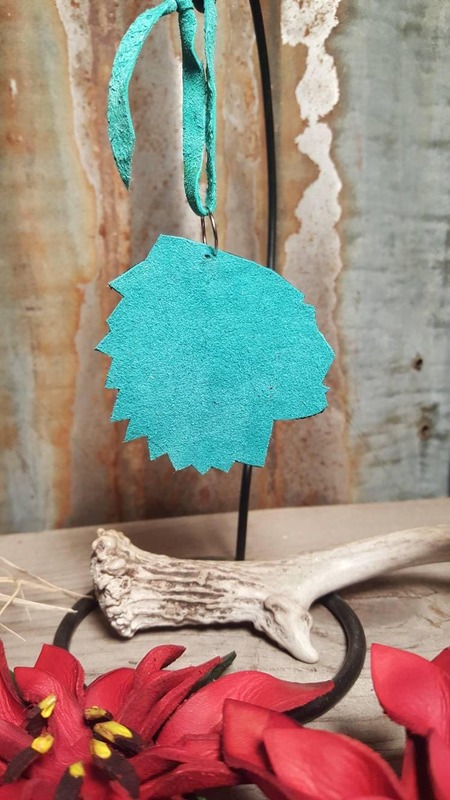 The back of the ornament has been backed with turquoise pig skin suede and hangs from a matching suede hanger. The ornament measures 2 and half inches across. Be sure to visit The Bucking Mare on Instagram, Facebook, Pinterest and Twitter! Copyright 2016-17 The Bucking Mare. All rights to reproduction reserved by designer. 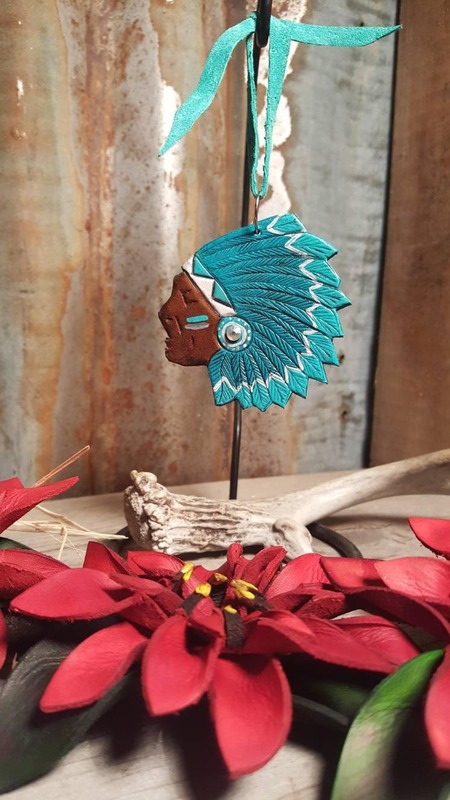 All product descriptions, images, and product design are property of designer/Etsy store owner and may not be used in any manner without express written consent of designer/Etsy store owner.